The Uvalde Main Street Program is committed to supporting our current and future downtown business and property owners. We are ready and willing to connect entrepreneurs with the resources that they need to succeed. 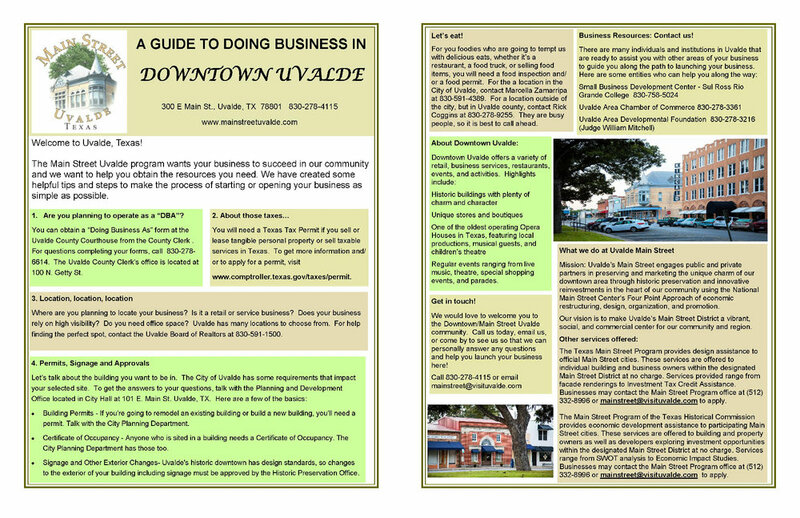 Stop by our offices or contact us to recieve a copy of our "A Guide to Doing Business in Downtown Uvalde" pictured here.